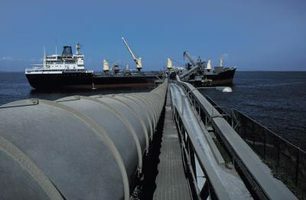 This US Coast Guard accepted course is presented as a classroom/onboard training program intended to provide the trainee with the information and knowledge needed to serve as the person-in-charge (PIC) of the transfer of fuel on uninspected vessels. This US Coast Guard accepted course is presented as a classroom/onboard training program intended to provide the trainee with the information and knowledge needed to serve as the person-in-charge (PIC) of the transfer of fuel on uninspected vessels. The objective of this course is to meet the requirements of 33 CFR Part 155 regarding the qualifications for mariners designated as a PIC of the transfer of fuel on these vessels. Section 155.715 requires formal instruction from the operator or agent of the vessel to insure the mariner’s ability to safely and adequately carry out the duties and responsibilities of the PIC described in 33 CFR 156.120 and 156.150.Trainees entering this class should be capable of reading and writing English at the sixth grade level and should have served as an assistant to an appropriately certified PIC during at least ten (10) transfers of fuel oil which include at least two (2) connects and two (2) disconnects during the six (6) months previous to coming to class.